Today on the Forums: Android vs. iPhone 3G! How Many Home Screen Pages Do You Have? Today is a good day, we have had a few Android related stories today here at TiPb but competition is good. It will only make Apple kick things into high gear and improve on what is arguably the top touchscreen phone on the market today. That brings us to the first thread I want everyone to check out. It's brought to us by none other than our very own writer extraordinaire, Rene. Android vs iPhone! What are your thoughts? 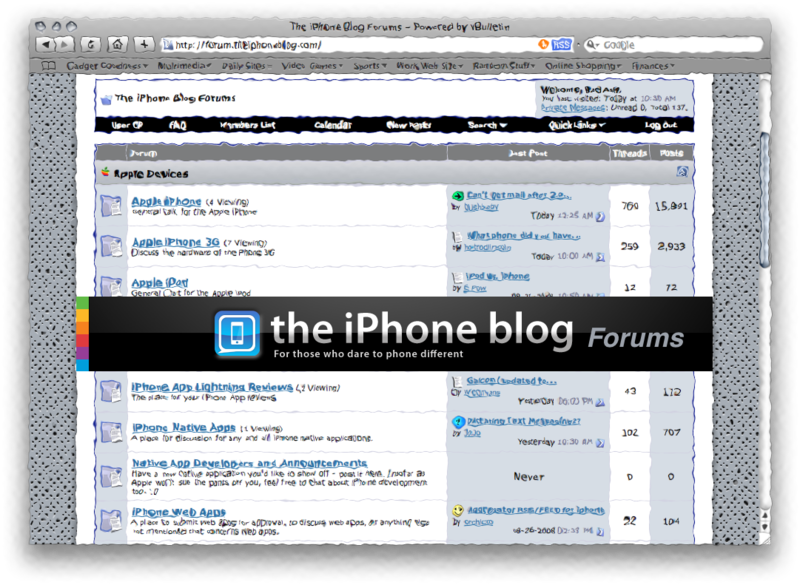 Our next thread comes to you from forum member sturamsden, and he wants to talk more about the rumored 32 gig iPhone 3G. I honestly can't see it coming out this soon but who knows... anything is possible, no? Finally here is a thread that yours truly started, how many home screen pages do you use? I found 3 home screen pages to be a perfect fit for me, how about you? Not a member of our growing community? Head over here to join us!